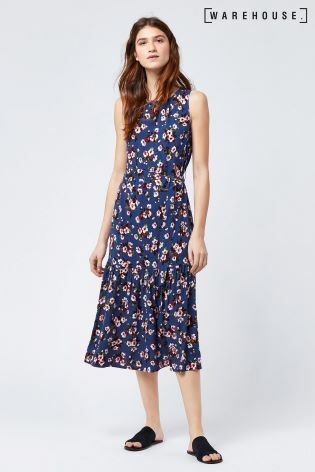 I'm gutted that this dress is sold out because it's definitely up there as one of my top 3 dresses of the summer. I have linked to a few similar ones at the bottom. I got it during my birthday session with Katherin in Victoria Square and it was one of those that I didn't even have to think about twice. As soon as I looked in the mirror, that was that. Even though it was pricy for Mango, I wanted it. 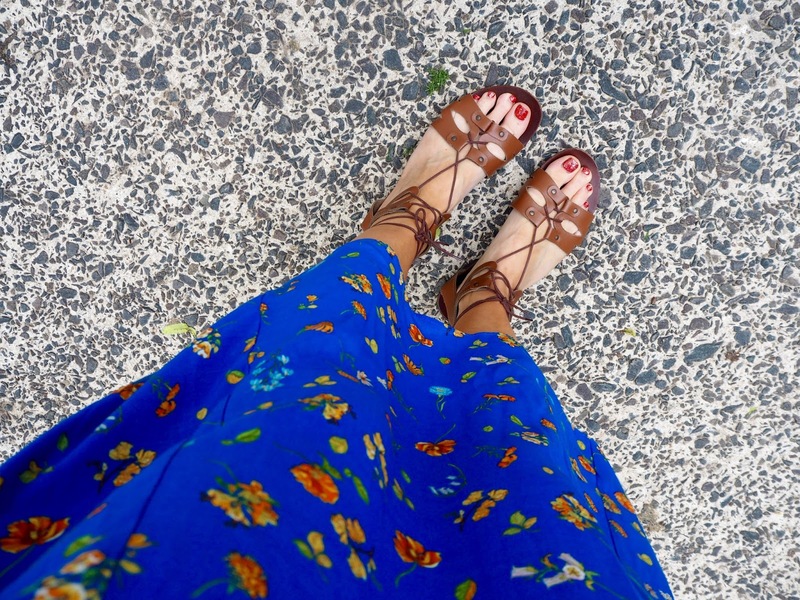 It looks great with tan so the perfect opportunity to dig out these tan Topshop sandals from last year. I got the black in these too and tended to favour it last summer. This summer, I seem to be wearing the tan more often. That photo is a bit over exposed for some reason but it's the only one I got of the back. I wear a strapless bra under it but a racer back bra would work also. Can't remember if I shared my birthday presents on here yet? I've been wearing more gold coloured jewellery recently and so I asked my husband to get me a gold coloured watch for my birthday. We got this Mark Jacobs ones in House of Fraser - he always brings me along to select as he knows how fussy I am. 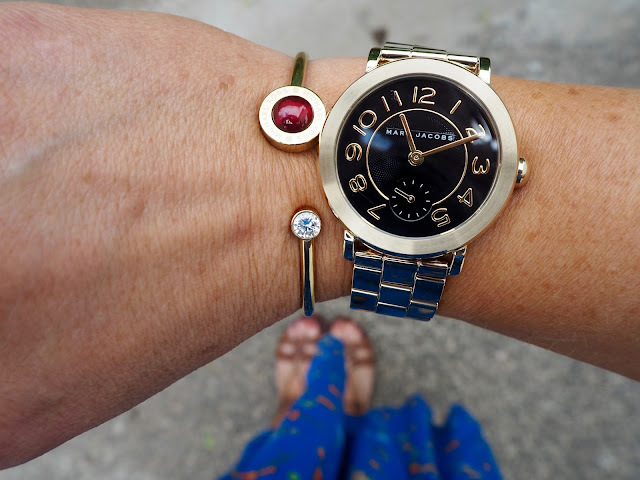 I adore it and while I was in buying it, I picked up this Michael Kors bracelet (similar on link) with a gift voucher from my godmother. I know MK is seen by many as being a bit passe now...only because they've overdone it with the brand just like Burberry did in the 90's and early 00's. But I still love their jewellery and watches (fashionistas gasp!) - the quality is great and this gold bracelet is a case in point - it's flexible metal...so you can bend it right around to take off. So impressive. 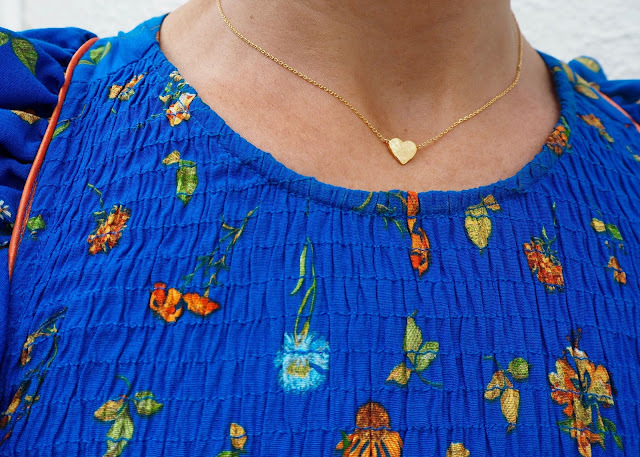 Last purchase to share - this little gold heart necklace from Estella Bartlett (silver on link). A present to myself on my birthday. It was only £18 and is just the prettiest little necklace. 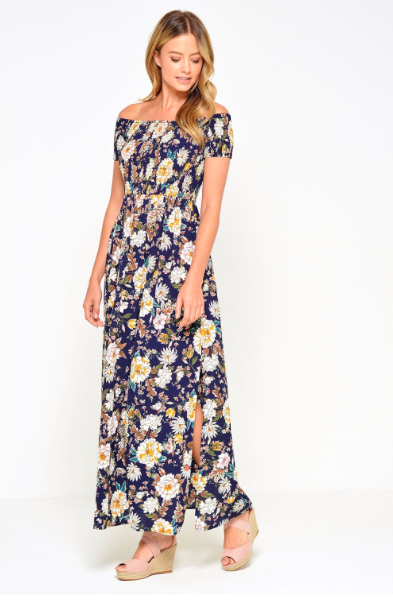 This next one is New Look but it's made by QED and funny enough, I got a QED maxi dress in TK Maxx the other week in the same material. Different style tho. Will share mine with you soon - don't have any pictures but in the meantime, this is available in limited sizes. It looks fab with blush and denim. I've worn mine so much since I got it. 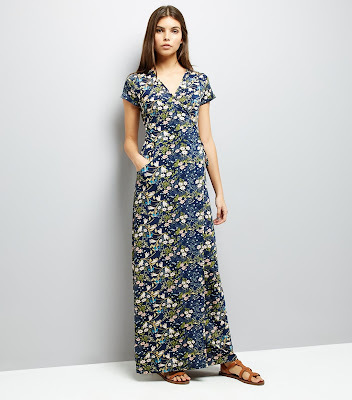 I've tried on this one from Warehouse - it's a great colour and print but I personally didn't like the frill at the hem. Every time I see it though I always hover on the 'buy now' button.. 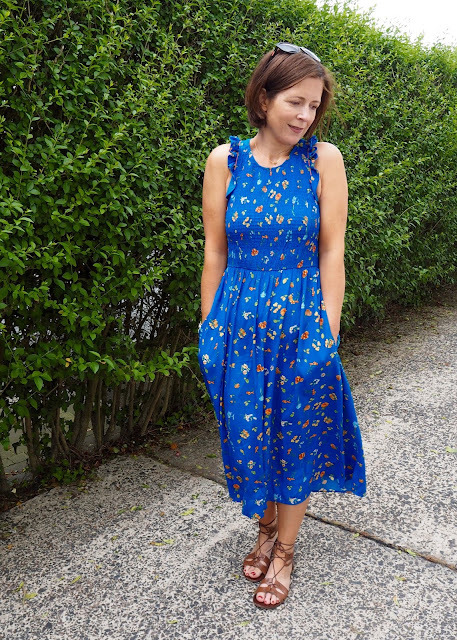 I'm so behind in blog posts right now - bear with me. Sitting at a laptop for a long period of time is not the best idea in my current state AND the school holidays have just started! But my twins are away for a few days with my sister in law so I'm hoping to catch up and get a few posts written this weekend. Brace yourselves! !